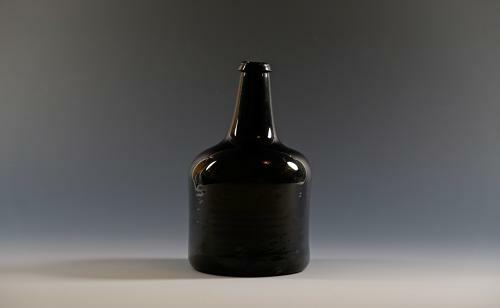 Early mallet wine bottle with square shoulders, short neck with top string ring and high kick and pontil scar. English C1750. Condition: Very good with minute chip to string ring no other chips or cracks. Note: A really good example in very nice condition.